A brow lift, also known as a forehead lift, is a procedure that allows you to restore a youthful appearance to the face by tightening the facial structures. This can create a rejuvenated and relaxed appearance. Elevate the eyebrows to create a more youthful appearance. Create a more relaxed appearance. Minimize forehead wrinkles and creases that develop over time. Fix a low or saggy forehead. Get lab testing and have a medical assessment completed. Avoid taking aspirin, anti-inflammatory drugs and herbal supplements as they can increase bleeding (if OK with your primary care physician. If not, please let us know). After the procedure, your forehead may be wrapped in order to minimize swelling and bruising. 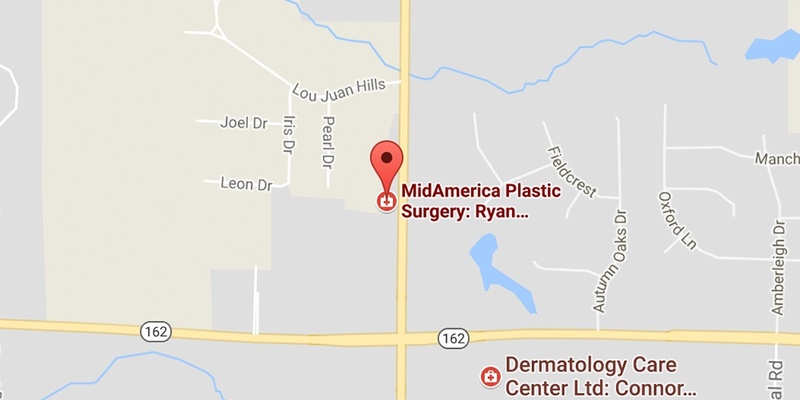 Dr. Ryan Diederich is a board-certified plastic surgeon specializing in a range of aesthetic and reconstructive plastic surgery procedures at Mid-America Institute of Plastic & Cosmetic Surgery in Glen Carbon, IL. If you’re looking for a plastic surgeon east of St. Louis, you can schedule a consultation online, or call us at (618) 288-7855 to schedule an appointment. A $100 consultation fee will be collected to reserve your appointment. A $100 consultation fee will be collected to reserve your appointment.